The thing about theme parties is that they're a hella lot of work. Everything, e.v.e.r.y.t.h.i.n.g. requires an intense attention to detail, and a real passion for perfection. Which is why with our powers combined (my stepmom C and me), we're pretty much the dream team you'll need to pull any shin dig together. First up, as the hostess of a theme party, it's really important that one sticks by that old adage to dress to impress. Your guests sure aren't going to put in the effort if you don't! Lucky for me, the finery came easy - dearest Shab lent me this gorgeous sari, and I had this incredible Marni necklace on loan from C - all I had to do was make sure the nail polish matched. 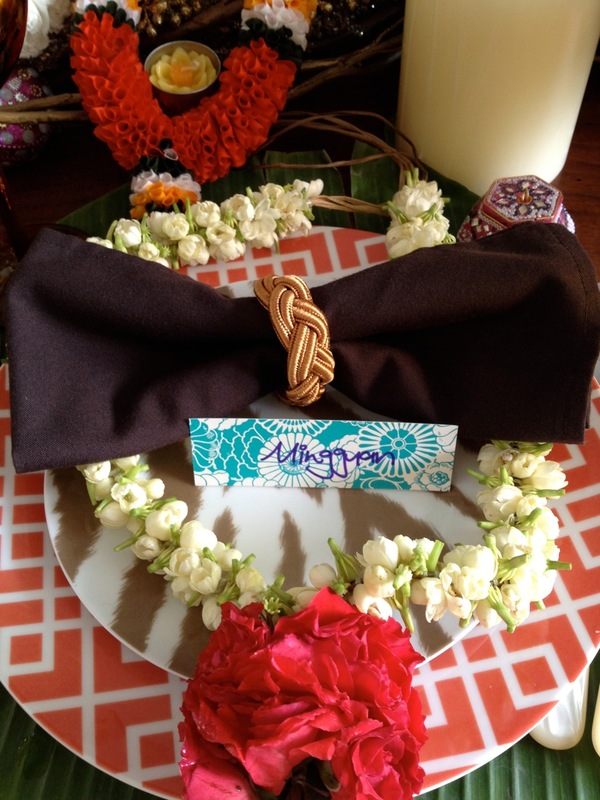 Next up, dressing the table is just as important as dressing yourself. No point getting all pretty and leaving the environment complete devoid of decorations and accoutrements! The decor is really what gives a good theme party that added pomp and pizzaz. Effort in this area is bound to dazzle even the most jaded party-goer. The final touch always seems to me to be the most important one of all. The grandest of plans, table decor, and food will be for nought if you don't ensure that each invitee feels privileged to be a part of your party. 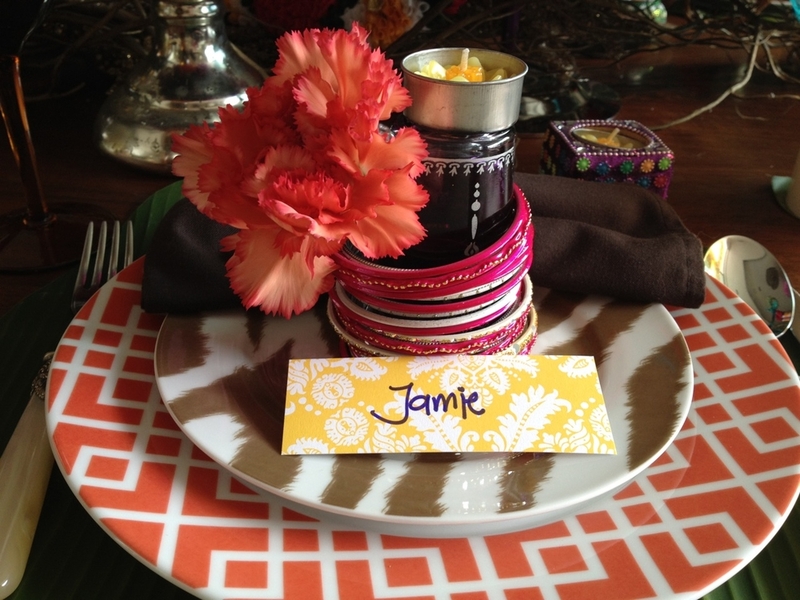 Making your guests feel special is an art every hostess must master. So seating plans that to put it bluntly, give a damn, will take your party from good to great. A wee door gift is also a great way to say THANK YOU! for taking the time out of your oh so busy schedules to wine and dine with me. For the birthday bonanza, we gifted the guys with garlands and the girls with sets of bling-y bangles.